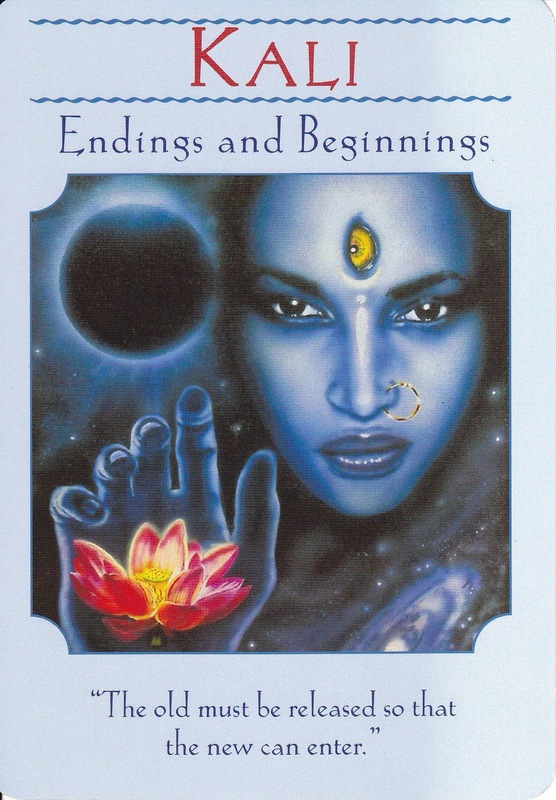 This entry was posted in Faerie Magic, Faerie Reading and tagged birth, death, doreen virtue, Goddess, kali, Oracle, Tarot, transformation by faeriemessenger. Bookmark the permalink. what does it mean if this card is in reverse? Hi Michelle, I personally don’t do reverse cards. But to answer your question, I would say that because I see Kali as a divine creator being, the reverse meaning would be that you aren’t being the creator in your life. The reverse would mean that the person who the reading is for is letting other people be the creator of their world, and they might also be letting other people push them around. I hope this answer helps.